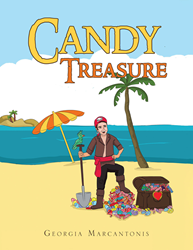 Recent release “Candy Treasure” from Page Publishing author Georgia Marcantonis is a spellbinding tale of a lad asking questions about the Easter Bunny’s crafty ways of hiding eggs for children to find. Georgia Marcantonis, a Greek American mother of three and the author of “I Wish…”, has completed her new book! “Candy Treasure” is a comely narrative about Naki, a little boy who tries to figure out the mind of the mischievous Easter Bunny. Published by New York City-based Page Publishing, Georgia Marcantonis’s fetching account features both imagination and rational thinking to explain the mysteries of nature and life. Readers who wish to experience this eye-catching work can purchase “Candy Treasure” at bookstores everywhere, or online at the Apple iTunes store, Amazon, Google Play, or Barnes and Noble.